Ohio born and raised, Devonte Smith remembers his first training trip to Colorado earlier this year. Smith hopes that somebody is Julian Erosa, the man “King Kage” will be facing in his UFC debut in Denver this Saturday. It’s a home game for Smith, who trains with the Factory X squad in Englewood, and while it was a short notice call, the 25-year-old lightweight prospect doesn’t see it as such. And he took it. Not surprising in a year that saw him go from the regional scene to the big show in the space of two fights. The first one was a 90-second knockout of UFC vet in Justin Edwards that prompted him to test out the training scene in Colorado. 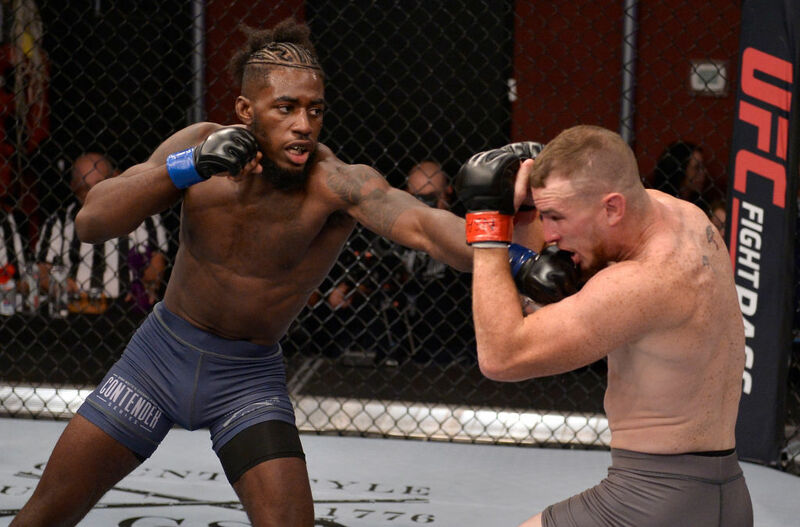 Everything clicked with Factory X, and then he stamped his ticket to the UFC with a knockout of Joe Lowry on episode eight of Dana White’s Tuesday Night Contender Series. A return home to Cleveland followed, but soon enough he was back taking in that thin air of his adopted hometown. Now he’s in his backyard, making his UFC debut, and doing so with high expectations on his shoulders to deliver on the promise his 8-1, eight finishes record shows. But Smith isn’t flustered at all about being under the bright lights this weekend. It’s a job Smith doesn’t plan on giving up anytime soon, and one preferable to the one he used to have. That didn’t stop Smith, and in 2018, the hard work paid off. As for what may be his final fight of 2018?